The laws of physics and the sadly finite limits of human endurance ensure that all good parties must come to an end. Time marches on, enthusiasm wanes, and the lights eventually come up. 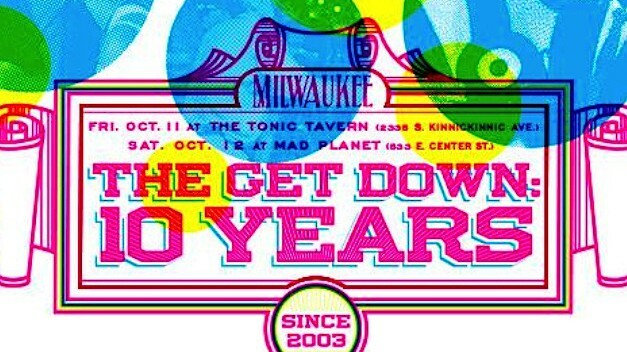 But The Get Down—Milwaukee’s premier monthly funk and soul dance party hosted by DJs Andy Noble, Brent Goodsell, and Nesh—shows no signs of stopping. Beginning this Thursday, The Get Down will celebrate its 10th anniversary by doing what it’s always done: getting people on the dance floor and spinning some of the best (and rarest) funk and soul records of the past 50 years.